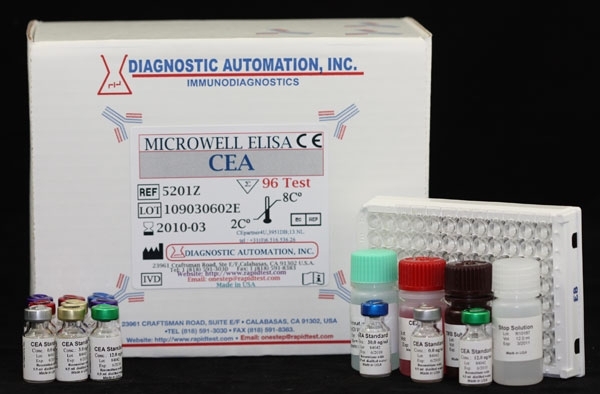 CA-15-3 ELISA kit | CE-GMP | 818 591 3030, USA. 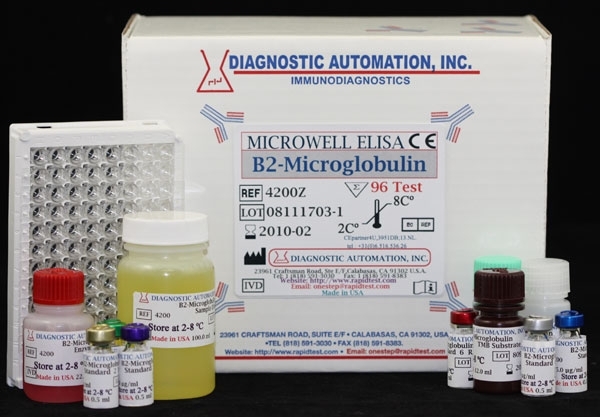 The CA-15-3 EIA test is an ELISA assay for the quantitative measurement of CA-15-3 in human serum. 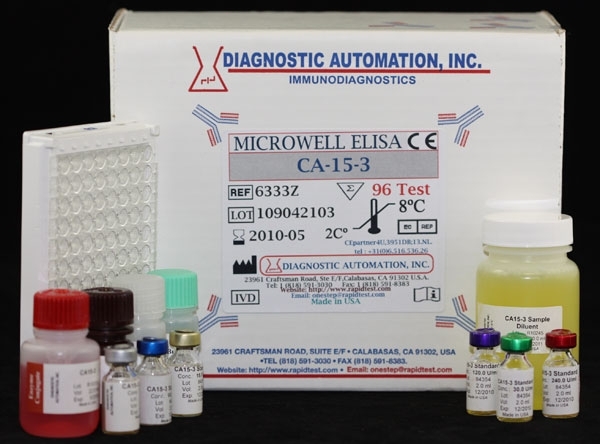 CA153 elisa kit is intended for use as a monitoring and screening test for breast cancer. Breast cancer is the most common life-threatening malignant lesion in women of many developed countries today. 96% of patients with local and systemic recurrence have elevated CA15-3, which can be used to predict recurrence earlier than radiological and clinical criteria. A 25% increase in the serum CA15-3 is associated with progression of carcinoma. A 50% decrease in serum CA15-3 is associated with response to treatment. CA15-3 are more sensitive than CEA in early detection of breast cancer recurrence. In combination with CA-125, CA15-3 has been shown to be useful in early detection of relapse of ovarian cancer. CA15-3 levels are also increased in colon, lung and hepatic tumors. CA15-3 is most useful for monitoring patients post-operatively for recurrence, particularly metastatic diseases. amount of CA15-3 molecules present in the assay. For additional details please refer to the instructions for use. 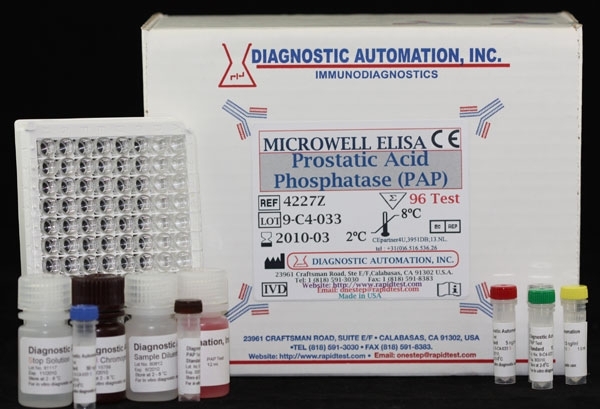 Product inserts for all Cancer ELISA kits follow a similar method. 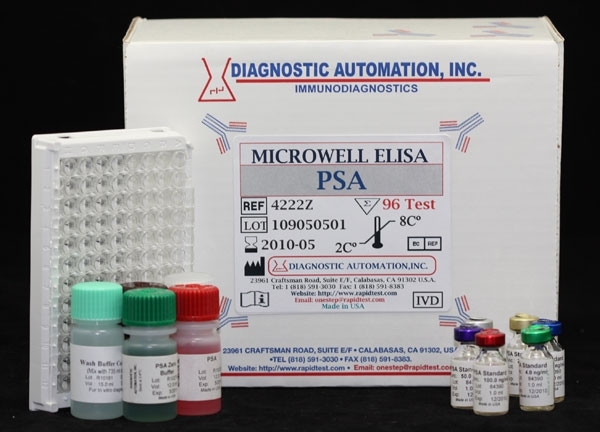 See the CA153 ELISA Kit product insert for specific details on preparation, procedures, quality control, and test result interpretation.